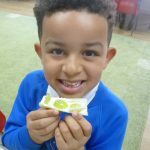 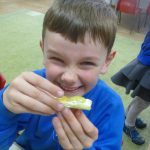 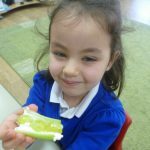 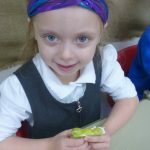 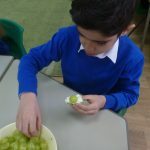 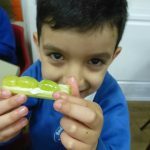 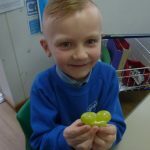 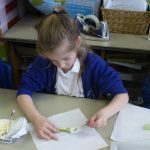 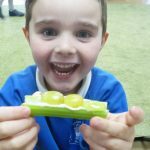 Beddington Infants' School | Making Celery Caterpillars! 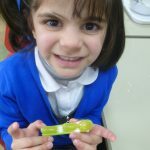 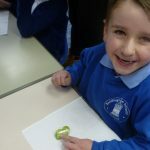 12 Mar Making Celery Caterpillars! 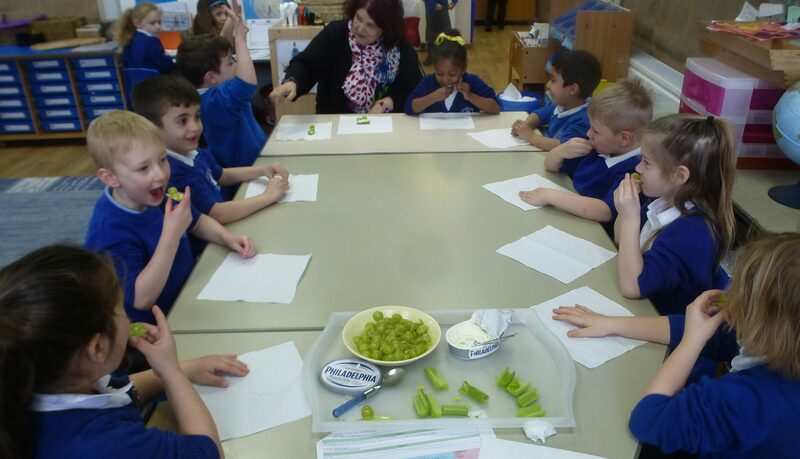 This week in Year 1 we have been learning about healthy eating and exploring new flavours. 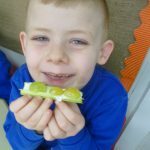 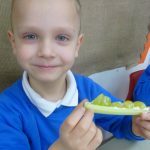 We all made a celery caterpillar with cream cheese and grapes as a healthy snack!